After getting our whistles wet with the first of two new CPU launches this year, it’s about time to at least take a look at some boards from the Intel side of the house. 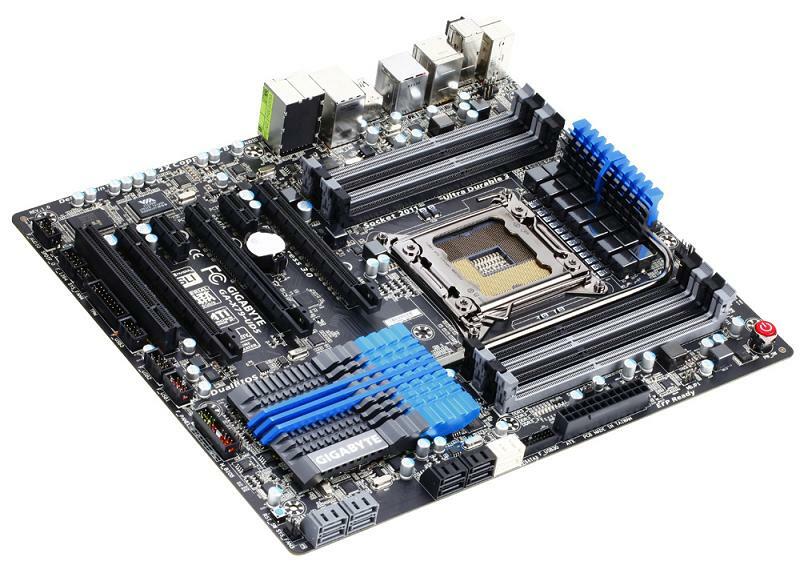 Gigabyte has sent us pictures of their upcoming X79 based motherboards which are based on Socket 2011 and support the, hopefully soon to be released, Sandy Bridge-E CPUs. You can see Gigabyte is ready with its major line up for the gamer (G1 Assassin2), enthusiast (UD7), midrange (UD5), and budget (UD3) market. Notice how the UD7 only has 4 slots for memory…? It looks like that board means business outside of its highlighter/pumpkin orange color scheme, which I actually like. 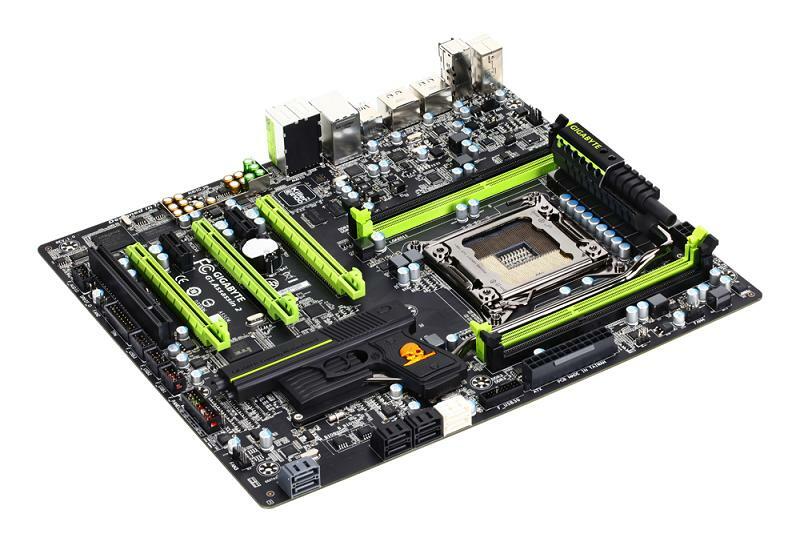 The UD5 shows 8 DIMM slots for adding even more memory. We just need a CPU to fill that monster socket!! Is anyone else getting excited about this release and these boards? Post up in the comments thread and let your voice be heard! Previous Article OCZ Announce the "World's First 1 TB 2.5 in SSD"
I'm extremely looking forward to the GPU technology, and @ 22nm. I'm excited to see how much they can cram into that... 4 and 6 cores chips coming.. I can already see there will be problems with those boards and clearance between the RAM and any aftermarket CPU cooler. 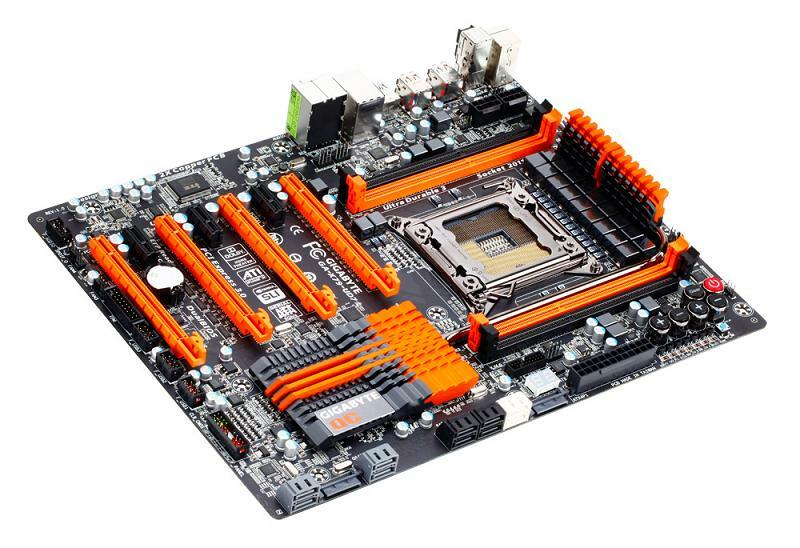 Why would the UD7 have 4 DIMM slots and the lower end boards have twice as much? So no quad channel RAM after all? I'm guessing they put 8 DIMMs only on the UD5 to give people a reason to buy it. On boards with only 4 DIMM slots, I'm expecting quad channel if you fill all 4 DIMMs, and dual channel when using the matching colored DIMM slots. At least I hope that's how it is. I haven't heard anything about quad channel being removed. That sounds right. Most aren't going to use 8 DIMM slots. With 4 you can still get to 16gb of ram rather cheaply, and keep quad channel. 8gb for even less. As always... CPU prices are off the wall...But something tells me clock for clock, its going to wipe the core i5/i7 off the map! Does anyone have the stage map? Remember the p4? 31 stages... core 2 is 13 stages... what about this new one? The UD7 is essentially made for overclocking. Adding more memory just makes overclocking more difficult as it puts more stress on teh IMC. +1 on OCing being easier w/ 4 slots as opposed to 8. 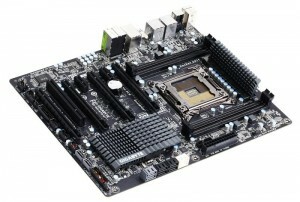 8 slots is a LOT of mobo traces! 8GB dimms are out now (although, still quite expensive), so up to 32GB should be supported and possibly more if it supports 16GB+ dimms. Unavoidable. Even if you keep the CPU die the same size and just keep cramming more transistors in there you still need to get those signals out to the rest of the system. Those traces and contacts take space, and you only want to go small in that area, or the pins in the socket won't be strong enough or you risk having an unintentional short-circuit. RAM caching is using a portion of your RAM to cache the most frequently used data/apps. Similar idea to SSD caching but a hell of a lot better than SSD caching. Will show an example in my x79 M4E review. When you have the ability to run 32-64gb of memory you can set up a ram disk and a ram cache if you want. Im also not sold on more memory making ocing more difficult on x79 but I havent got to that in testing yet. Thanks for the info Eldonko! I wouldnt imagine its the # of slots, but number of populated slots. The IMC has to account for any populated slot. Just like in X58, running single or dual channel would usually lead to an increase in bclk. I would imagine, with nothing to back it up, that would still hold true. How many IPC cycles for the outcome..
That's why you really cant compare clock for clock, because the pipelines are different.